Ty Kirchharr threw a complete-game shuout to lead Pace on Friday night. *Photo courtesy of Pace Patriots Baseball. The Pace Patriots remained undefeated in district play following a 12-0 win over Escambia on Friday night. 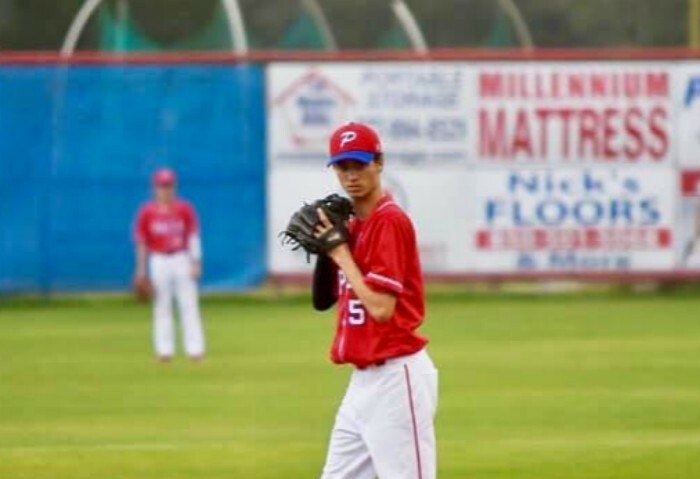 The Patriots (10-2) improved to 4-0 in 7A-1 as senior Ty Kirchharr threw a complete-game shutout and the offense built off a big lead early on to maintain control. Kirchharr scattered three hits and two walks over six scoreless innings, and he recorded six strikeouts while improving to 3-0 on the season. Chase Bragg led the offense thanks to a grand slam in the second inning. Bragg was 3-for-3 with three runs, and Aidan Gilroy also had a home run while going 2-for-4 with two runs and five RBIs. Chase Barcus and Brandon Miller both had a double and an RBI and JC Preacher scored three runs. The Gators (7-5) dropped to 3-3 in the district and are currently in third place. Escambia managed only three hits on the day, as Michael Tonglet had a double and a stolen base to lead the way.